Happy New Year everyone! Today I finally arrived at my own home after an extended holiday vacation in Virginia with my extended family. Phew…it feels wonderful to be home and to start working again! I don’t know about you, but I am ready to re-embrace a good schedule and routine. To get myself back on track, I took some time today and made a list of projects and goals I plan on conquering in 2012. And speaking of conquering, just look at what these ladies achieved in 2011! Below are the top 15 projects that I didn’t want you to miss from the “My Favorite Post” link party. I hope you feel inspired just by browsing! Enjoy! 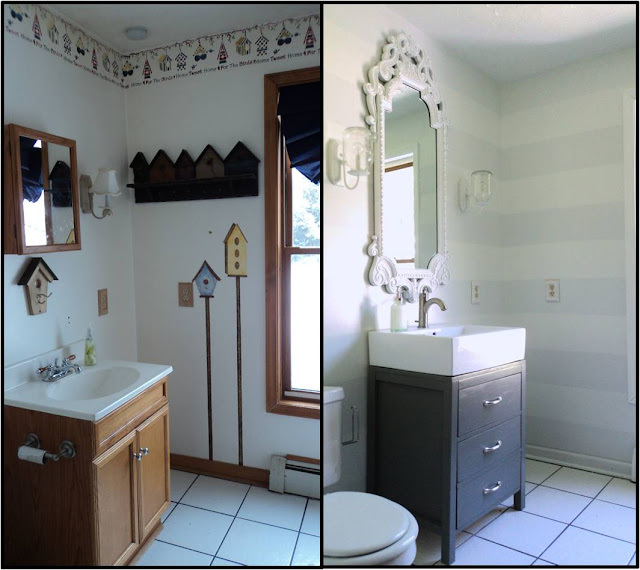 Half Bath Makeover by His & Hers. Master Bathroom Makeover by Ten June. 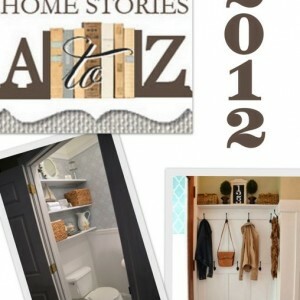 Mudroom Makeover by Saving 4 Six. Kitchen Makeover by Beneath My Heart. 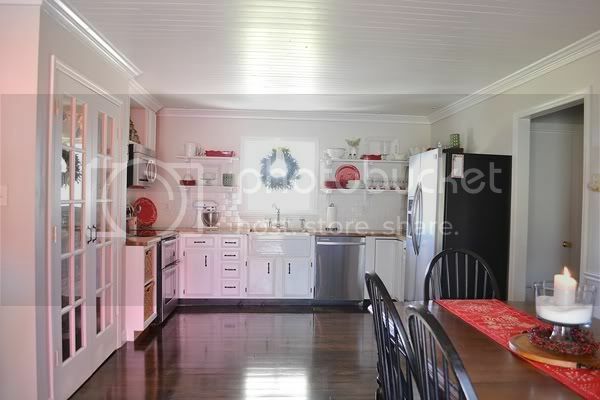 $159 Kitchen Makeover by Harbour Breeze. Kitchen Cabinets Updated with Moulding by Don’t Disturb This Groove. 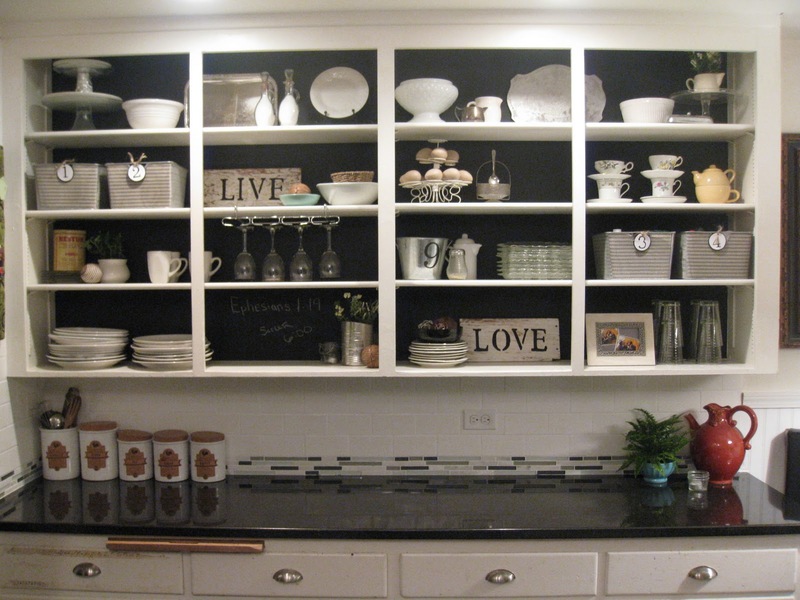 Chalkboard Backed Open Cabinets by Creatively Living. Guest House by The Shabby Creek Cottage. Dining Room Makeover by Teal & Lime. Laundry Room Makeover by Cameras and Chaos. DIY Iron Spindles by Cleverly Inspired. Dictionary Book Page Wallpaper by Knick of Time. 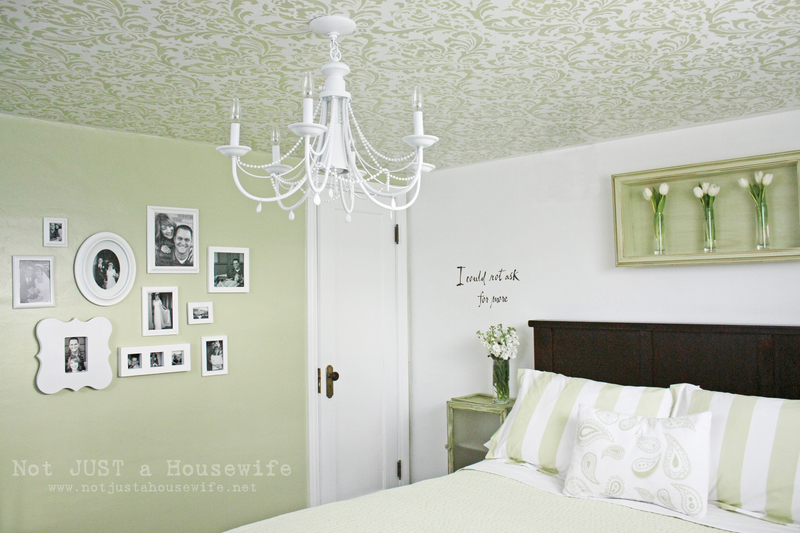 Stenciled Ceiling by Not Just a Housewife. 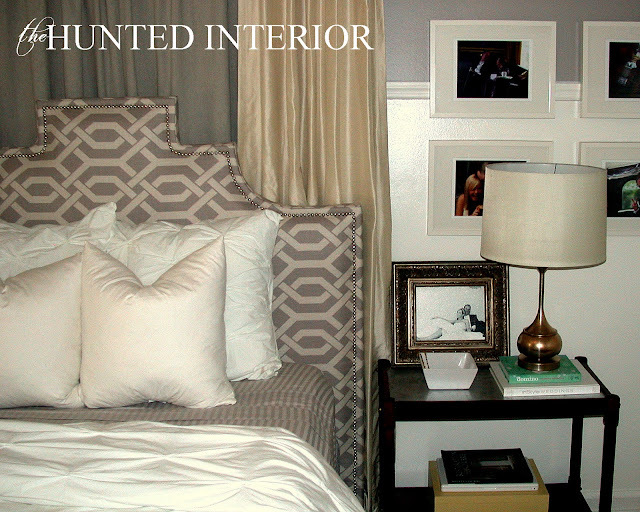 The Story of a DIY Headboard by The Hunted Interior. 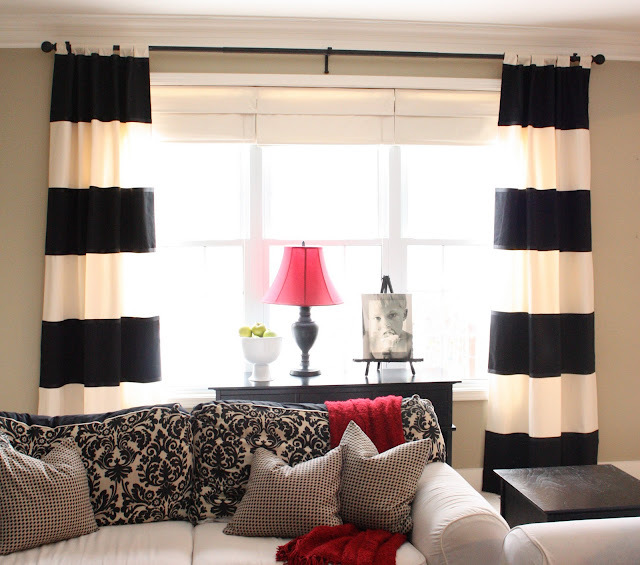 DIY Striped Drapes by The Yellow Cape Cod. Thank you to everyone who took the time to link up their favorite post from last year! It was fun to see which posts were your favorites. I know 2012 will have even more mind-blowing creativity in store for us and I can’t wait to feature it here! I’m with you – it’s fun to travel, but the best part is coming home (other than putting everything away). Great features…I think the first is my fave, but maybe because I can see what they had to start with! Wonder why they didn’t want to keep the birdhouses? 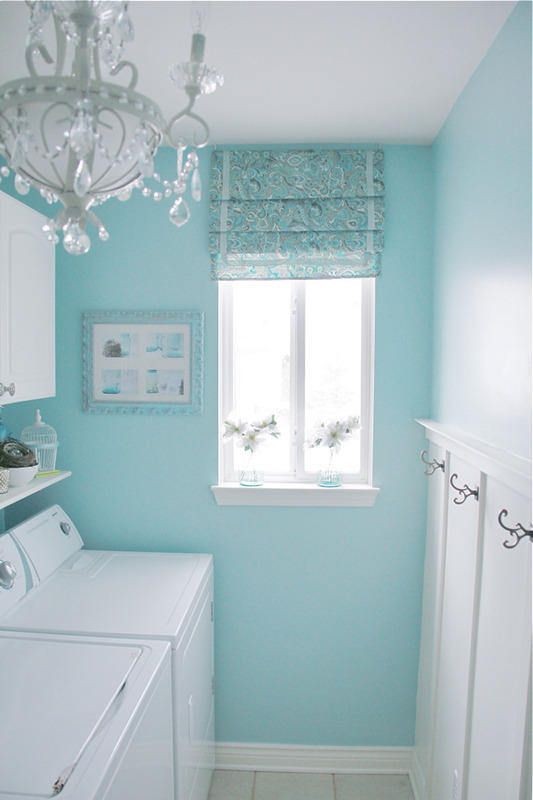 Hi Beth…thanks so much for featuring my little turquoise laundry room. it still amazes me to see my room on different blogs….so cool!! Great picks, Beth!! Love all the talent and inspiration. Happy New Year! Hi Beth! Thank you so much for including my updated cabinets in with your features! I feel honored to be amongst such talented ladies. Wishing you and your family the best in 2012! What beautiful inspiration here! Thanks for this lovely post. I had to sit and stare at the lovely details. They’re all so beautiful. Thank you so much Beth! Great projects. I am off to pin some…. I just got home today from an extended vacation too! What a pleasant surprise my dining room was included in your roundup! I love all of the projects you chose…some of them are already in my inspiration files and the rest will be added! Thanks! Thank you so much for the feature !!!! Happy new year Beth!!!!! Beth, I just squealed so loud I scared my family! To say I feel honored to be included in this list is an understatement. Thank you. Thanks for the feature! It’s pretty exciting to be featured with such amazing ladies! Beth, these are awesome! 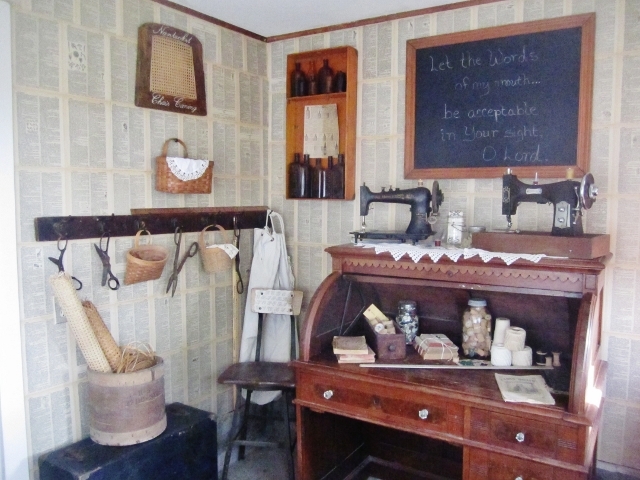 I must say that the laundry rooms takes my breath away! I’ve got to make sure that I’m following these guys! Love your DIYs, what great inspiration. Thanks so much for sharing — they are amazing! I am totally in love with the laundry room, the headboard, everything.